This post is not one of those that simply highlights the you-don’t-have-to-be-a-genius-to-understand mistakes and problems while developing a content marketing strategy, and then, having read it on the way to the office you sit and puzzle over how to solve problems that were mentioned. Quite the opposite, we will outline the success cases of a Facebook content strategy for Gyms which have no magic, only a deep understanding of what you do and why you do it. First things first, a mix of Facebook ads and creative content works. And they work really well (and can help you make your target audience hooked), but only if you understand the basic fundamentals of how social giant’s algorithms work. Surely, each content creator believes in their own absolutely-super-creative vision formed by a mix of previously obtained skills including copywriting, journalism, UX design and many other life-altering whatnots. Chances are good your high-value clients who are interested, ready to pay and will love the what you deliver will click and come. It depends on what you deliver: the value or just something for something. As it turns out, good campaigns get you leads. Bad campaigns – take your money along with your potential clients. The internet is rife with the hundreds of suggestion like free training day, only today, and only for you. How not to get lost among of them? Want to know how to succeed? Well then, if your eyes are ready to read, buckle up and take a deeper look at Facebook content marketing campaigns. Ready? Then let’s go! “To give or not to give?” the question is no less dubious than the original Shakespearean one. They say, free gym trials may devalue your offerings and negatively impact your current clients. This theory might live on, but… in terms of mankind’s nature, there’s also the flip side of the coin. For many people, the idea of joining a gym is interesting, but they may feel uncomfortable about investing in a vague dream about an ideal body and expert trainer. The idea of spending time, money and physical resources on such otherworldly pursuits is difficult to swallow. In this case, the free trial are a genius decision to put out there. Free trials give potential members a clear understanding of what your gym offers. Not to mention, they dispel all doubts about creepy gym trainers, smelly changing rooms, and squeaky fitness equipment. Sound like an argument, am I right? At the time, this isn’t a rocket science and such kind of Facebook content strategy for Gym is easy to make, like 1,2,3. 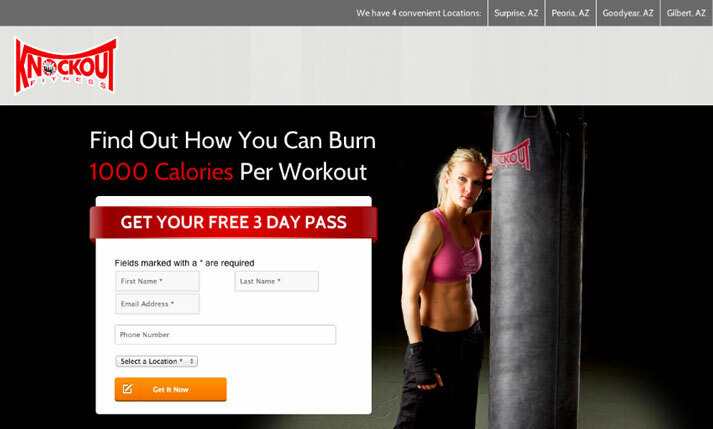 To create a landing page where non-members can sign in with Facebook, Twitter, or email, use your gym website. Invite an individual do join a free on-to-one session or a group class by leaving name, email, and phone number. It helps you see exactly who the individuals are, what they like, when they were born and so on and so forth (especially, if you can find their social media pages). Again, it also makes the long-term outlook certain. You can keep on sending useful materials or the information about discounts those who say “yes”, but claimed their free training. Wait…what about discount short program offers? This works. Facts say, some of the most successful gyms succeed in promoting, “Summer Body” special offers. 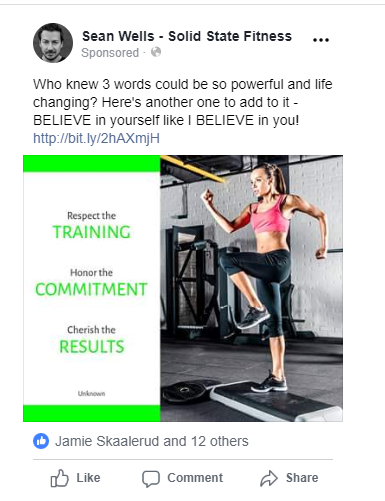 It’s nothing but fact – people want to have more for less; and more in this case is having a great fit body, like all these fancy people from stock photos. According to Healthline, the average monthly cost of a gym membership is $58, but in cities like Brooklyn, the monthly spending tops $100 and more. The truth is, expensive annual gym contracts aren’t attractive for both sporty enthusiasts and newbies with a weight-related New Year’s resolution. However, making short-term discount program will be a great solution. Skepticism will dissolve like sugar in hot tea. What’s more, if you have recently opened your gym, discounts may help you achieve a wow-effect, by getting a great number of sign-ups. In a word, the Karma Police won’t arrest you for lowering the price for a special event. So, don’t hesitate to promote a challenge on Facebook to make their bodies perfect from now into a few summer months. A little discount from your side equals a tonne of value for people. And by the way, these people can become your loyal, long-term members and ambassadors who will recommend you to their friends someday. But there’s one little fact…You shouldn’t let just anyone apply. Set some limits, boundaries, or must-have requirements, which are better mentioned in application form. A marketing gimmick? – Probably. Anyway, in this way, you’ll avoid the question of lessening the value of your offer and getting the information you need to make your gym-business dreams come true. How often do you attend the gym? No matter how many times you’ll be Googling successful cases of Facebook contest campaigns for gyms, the results in organic search will scream how cool this strategy is using the superlative form of adjectives. The main descriptive reason highlights that this strategy brings in more leads than any other big or small ideas which may come to your mind. Leads. And if the first fact seems to be easy to admit, the second one is a some trouble. Due to the great amount of contests on Facebook and out (aka a brand-new car which nobody ever wins), people stop believing in a fairytale promises. In simple terms, you’ll get people on the phone, through signing up, or meet them at the entrance. The business of free, can work. It can help you earn something more than money. However, the last one also comes with honesty. Discounts aren’t your thing? Just bring more followers and create more Engagement for the posts. Remember that coming up with brand identity is important work. You can’t be apathetic about your follower count or ignore the number of likes your posts get. You can’t worry about the content you share. One bad post can set you back in your business development, one good post is a big step forward. Think long-term and pay attention to every single word you’re going to associate with your brand. But any way you choose the right target, remember to adapt your message to suit their needs. A recent example of Sean Wells Fitness shows a kind of inspiring method. Three words, one motivation. The picture fully depicts the key words on the left – a future body. Cheers to those who move fast and train hard, cheers to a great work-out your gym can give. In this all-digital world, Facebook content marketing along with promotions, are still a powerful tool for gym owners to engage more visitors to come in and stay. It’s a big sea where big and small fish live. Everyday, more than 1 billion people log onto Facebook, read what their eyes can see, give likes and shares. Face it, your audience lives there. Skip the ads in leaflets, get with the times. 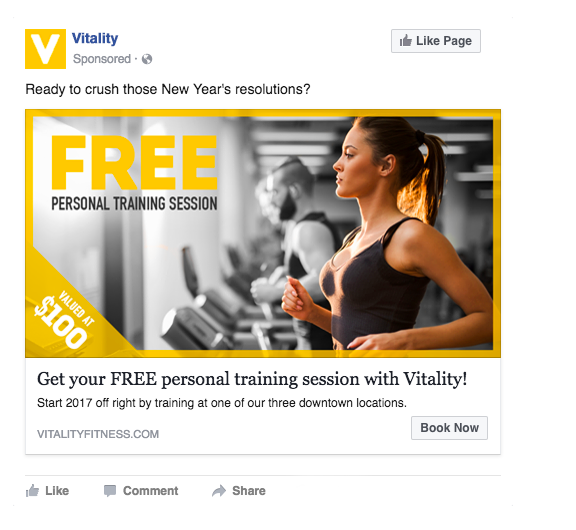 It’s very likely, your potential client is scrolling the timeline where an ad for your gym could be.